I tend not to post music in another languages (don't ask me why?!?) 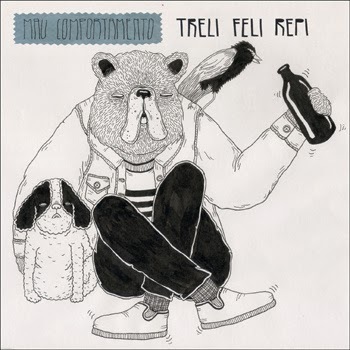 but this one, out of Rio De Janeiro is too good... Lo-fi music makes me punch drunk happy, so I don't care if I have no clue what they are saying. It's raw, it's noisy, it's true; music made with passion and conviction all the way through. I feel odd saying this but the words are so melodic, it's easy to interpret all my happy thoughts into the sound pounding from the speakers! Give it a try for free over at their BC page. Thanks for the submission.